The Organization of American Firefighters (OBA), Fundación MAPFRE Award for the Best Accident Prevention Initiative, worth 30,000 euros. The majority of the firefighters are volunteers who work in their spare time to cover 65% of the needs of the countries within the region. 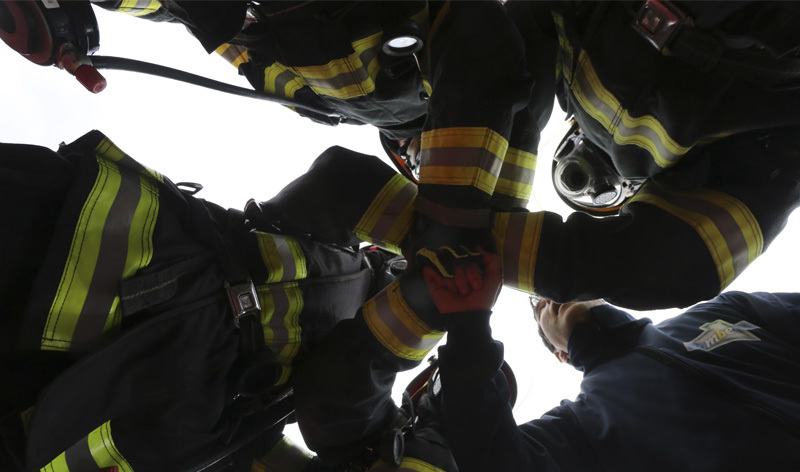 The Organization of American Firefighters (OBA) is the largest organization in the world of collaborating international firefighting services. It works to raise the professionalism of local fire services, standardize procedures and prevention protocols and respond to emergencies. Created by and for firefighters throughout the American continent, this institution is made up of over 1 million professional firefighters, mostly volunteers, representing firefighting institutions from 17 countries and covering 65% of the region’s requirements. Created nearly twelve years ago, the OBA has trained almost 20,000 firefighters in 37 countries, a significant fact bearing in mind the voluntary nature of many fire departments in Latin America and the Caribbean. The role of volunteer firefighters is especially noteworthy in Latin America. In Peru y Chile, for example, they only have volunteer firefighting organizations, whose members receive no economic support. They only benefit from tax deductions, government subsidies and local neighborhood donations and frequently they even have to provide money from their own pockets to support the cause. The situation is similar in Argentina, where community volunteer firefighting organizations cover 80% of the country’s needs. This reality highlights the fact that most volunteer firefighters in Latin America have a paid job to support their families. Not only do they fulfill the standby and duty hour requirements of the fire department they belong to, but also they do so in their spare time. The Organization of American Firefighters has collaborated with Fundación MAPFRE for many years, and together they have carried out a variety of activities such as Fire Prevention Weeks, during which a total of 731,525 children have learned about the main risks involved and what to do in the event of fire. They have also, for years, jointly organized the largest annual conference in the Latin American region on the subject of fires. The Fundación MAPFRE Awards, international in character, recognize the work of people and institutions who strive every day to improve people’s way of life in areas related to social commitment, research, health, accident protection and insurance. The award will be presented on 14 June at the Casino de Madrid (Calle Alcalá, 15) by Her Majesty Queen Sofía.